Thank you to Carando® for sponsoring this post. 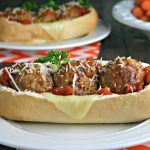 Italian Meatball Subs are perfect for an EASY weeknight dinner and are an equally GREAT idea for your next game day tailgate! At our house once fall arrives, we get almost as excited about football “food” as we do about the actual football game. Don’t judge…we rack up points with our tailgate menus regardless of whether our team wins or loses! Want proof? 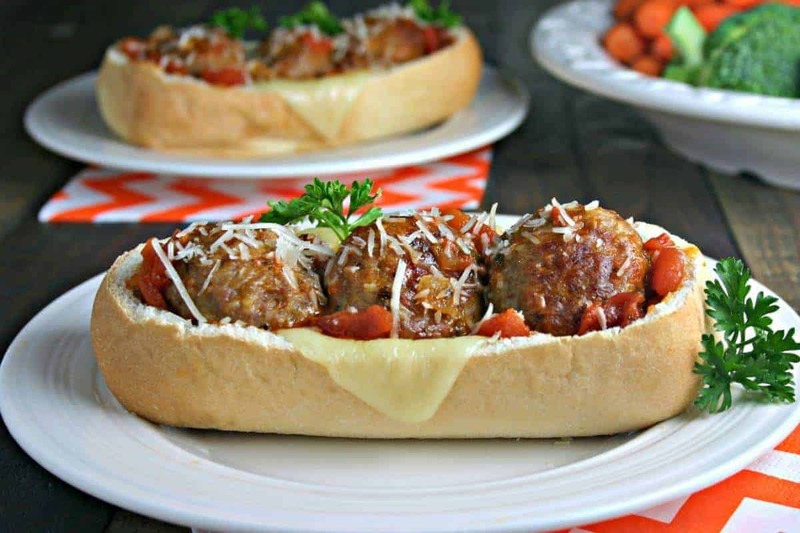 Italian Meatball Subs are fork-and-knife, man-sized sandwiches constructed with Fresh Italian Meatballs from Carando and a homemade marinara nestled inside a hoagie “boat” with melty mozzarella cheese. That’s one for the WIN column in my opinion! Carando meatballs, available at Kroger, are made with only the highest quality pork, have no MSG, and are gluten free. 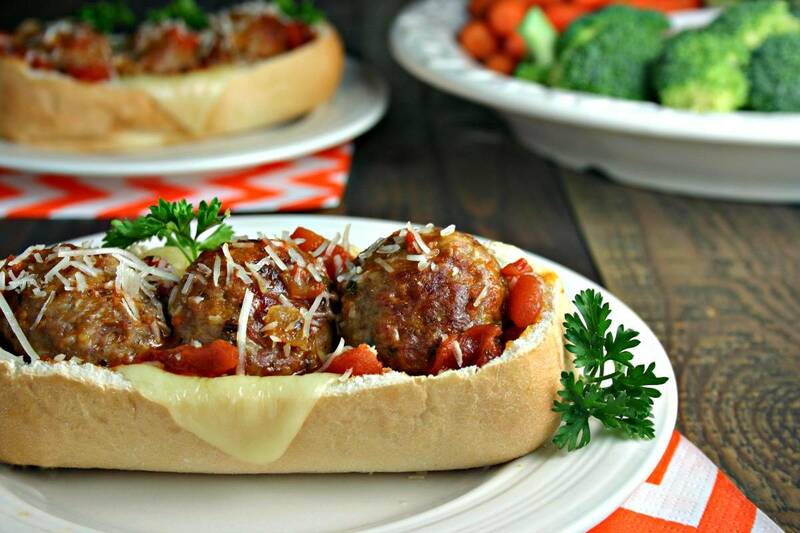 Made with a blend of cheese and herbs, these meatballs are a perfect complement to my easy homemade marinara and together they make for a delicious tailgate-worthy sandwich or a weeknight Italian meal for the family. In fact, this combo on top of a mountain makes one mean bowl of spaghetti and meatballs! The convenience of Carando meatballs literally cut my cooking time for Italian Meatball Subs in half. Instead of mixing, measuring, and forming meatballs, I just popped the Carando meatballs in the oven and while they were baking tossed together the ingredients for my marinara. Once the meatballs were done, I added them to the sauce to simmer for a few extra minutes before assembling the subs. So easy and so delicious! The trick to making these open-face sandwiches is to slice off JUST the tops of the hoagie buns. Don’t slice halfway through the buns–just take a sliver off the tops. 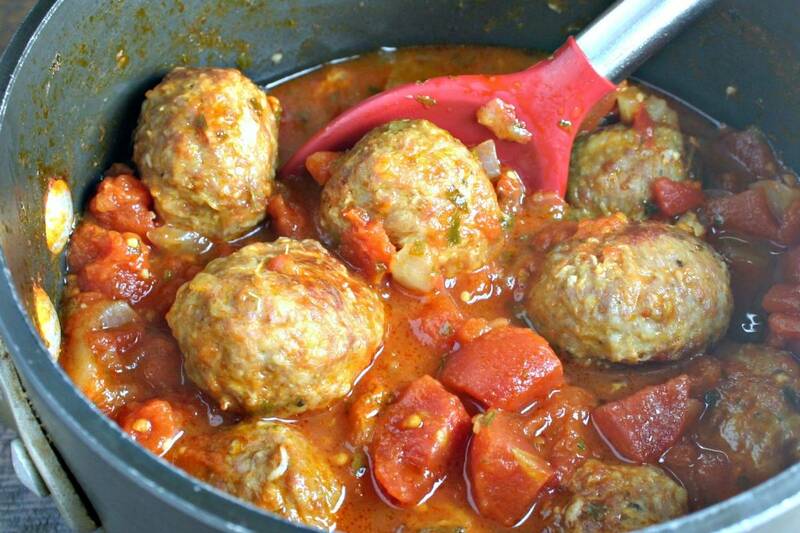 Using a spoon, scoop out a boat for the meatballs, leaving about a quarter-inch to half-inch rim. Brush the boats with a little olive oil and toast for two to three minutes before adding the mozzarella cheese slices and meatballs. Toasting before filling will help avoid a soggy sandwich! When we became empty nesters, we imagined that we’d suddenly have plenty of time to do anything that we wanted. To a degree, I guess that we can, but we’re still busy with church activities, our careers, and are still keeping up with our adult, out-of-town kids. Thankfully, they still enjoy spending time with us! We especially enjoy watching football together, so when the kids are in town for the game I don’t want to be spending hours in the kitchen finalizing our football menu….after all, there’s football to watch even if there is a crowd to feed! I found that Carando is the perfect product for making classic Italian recipes easier and more convenient to make when you’re crunched for time–without sacrificing flavor! One taste is all it takes to discover the authentic Italian difference of Carando. 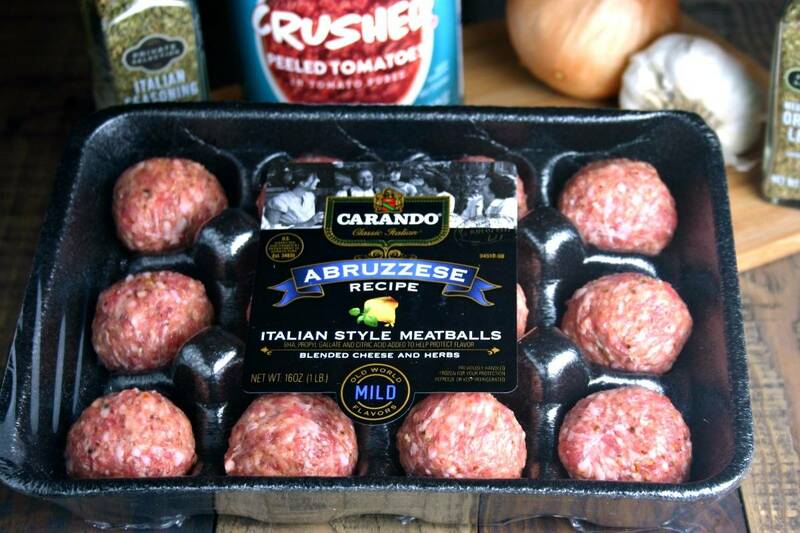 Carando meatballs are available in two flavors, Mild Abruzesse Italian Meatballs and Spicy Sicilian Style Meatballs. I used the Aburzzese in my recipe, but either work work equally as well. Don’t miss out on the upcoming Taste of Italy event at Kroger stores running from September 14th-September 27th. For more recipes & Italian fares, visit www.italianworld flavor.com. Cook meatballs according to package directions while preparing the marinara sauce. In a large pan, sauté onions in olive oil over medium high heat until tender. Add remaining ingredients and bring to a boil. Reduce heat and simmer 15 minutes. Add cooked meatballs to sauce and simmer uncovered another 10 minutes, or until heated through. 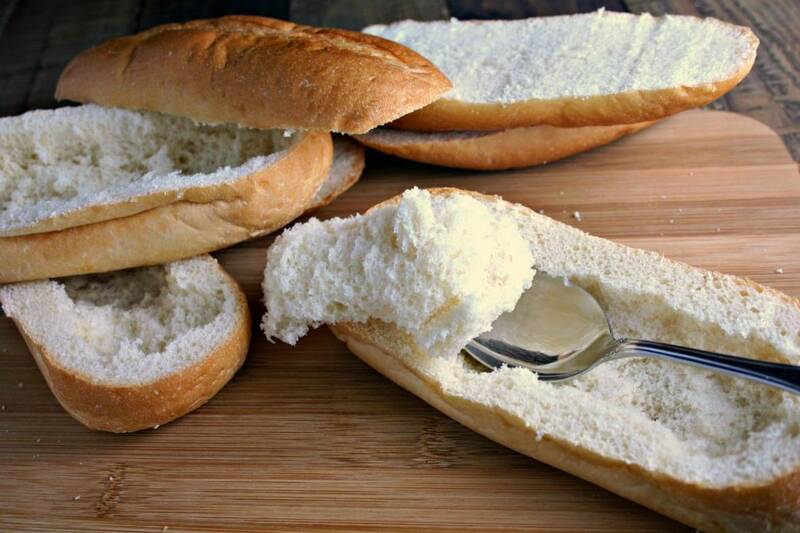 Slice top off of hoagie buns and use a spoon to scoop out a "boat" for the meatballs. Brush the buns with olive oil and toast in oven at 375 degrees for about 5 minutes. Layer mozzarella cheese on the buns and return to the oven another 5 minutes, or until the cheese is melted and bubbly. Spoon 3 meatballs and sauce into each bun and garnish with parmesan cheese. Serve open-faced while warm. Those meatballs are seriously fantastic! Those meatballs look amazing! This is such a great dinner! Whoa… those are fantastic!! Pinning asap! These subs are like the definition of perfect gameday food! 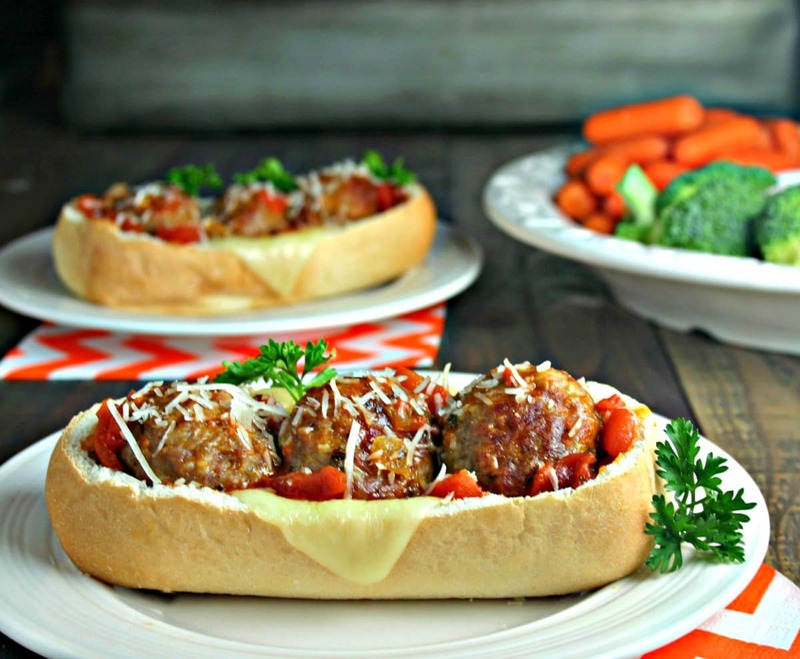 This sandwich looks fantastic and the meatballs look so tender and juicy. My family would love this for dinner! I could eat this sub once a week for the rest of my life and never get tired of it! Looks so good! I love this! A great way to have meatballs! I like the idea but I prefer to make my own meatballs from my homemade Italian sausage. I’m not a fan of Carando products. This is good topped with Mozzarella and then under a low broiler to melt the cheese. Save the bread from cutting and scooping to make breadcrumbs. Definitely a knife and fork meal and versatile. Great idea!